Perfect Balance Therapeutic Massage offers massage for the athlete in everyone. Chris specialize in improving the performance of equestrians, golfers, runners and other competitive athletes. Chris Vettel is a California State Certificated massage therapist. Chris Vettel has been an equine massage therapist since 1988 and has owned horses for over 25 years. She enjoys spending time at the barn working with the horses through her equine massage practice. Chris Vettel is a Holistic Health Practitioner that graduated from Healing Hands School of Holistic Health in 1997. At that time she began focusing her massage talents on people as well as horses. She spent seven years working at me Four Seasons Aviara Spa in Carlsbad, where she learned and practiced exceptional customer service. 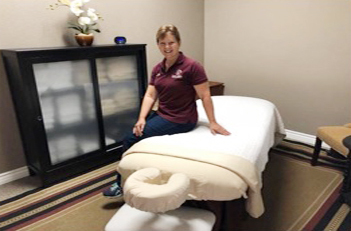 In 2008 she was chosen as a founding instructor for MiraCosta College‘s Therapeutic Massage Program, where she taught massage until spring 2013. Chris brings a wide variety of experience and knowledge to her massages. Her goal is to help you stay balanced, focused and healthy. While giving you excellent customer service at Perfect Balance Therapeutic Massage.